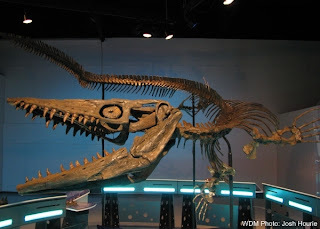 saskmom.com: sea monsters in saskatchewan? The Western Development Museum in Saskatoon, in partnership with the Royal Saskatchewan Museum in Regina, will present a new exhibit entitled "Hunter of the Prairie Sea" January 20 through June 22, 2011. 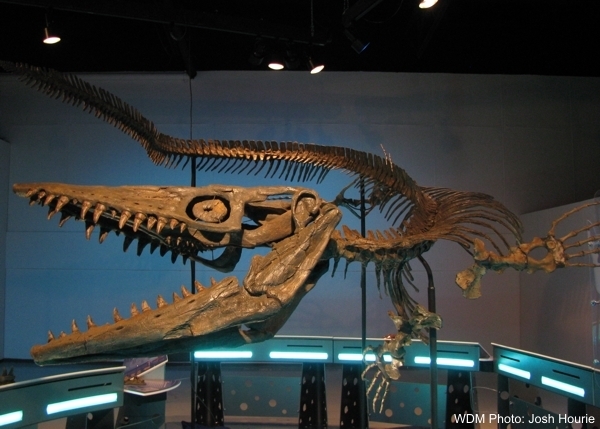 The exhibit features a 10-metre-long tylosaur, a marine reptile from the age of dinosaurs. It was discovered along the south shore of Lake Diefenbaker in 1994. The tylosaur is nicknamed “Omaciw” (oh-matchee-oh) which means hunter in Cree. In addition to the tylosaur, the exhibit introduces visitors to the marine environment that existed in Saskatchewan 70 million years ago. The official opening will be Thursday, January 20, at 2:30 p.m.